Musical Recommendations: Rob Fisk of Common Eider, King Eider and Joshua Burkett. 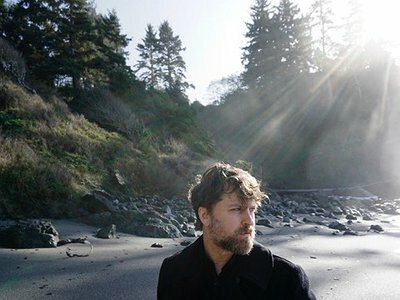 If you enjoyed this interview with Ben Chasny, you can find more information on the Six Organs of Admittance website. Six Organs began making records in 1998. My early influences were private press records that would appear out of nowhere and nobody know where they came from. Bands like The Black Vial, L, Noggin and Stone Harbour, to name a few, set up a cool world of mysterious people releasing strange records. When I put out my first record, I didn’t put my name on it and just sort of sent it out there, hopeful to join that strange world. Perhaps, getting a letter from Byron Coley asking if I had any more records in stock, and wondering if I would play his space in Western Massachusetts. This would be about 1999. I had only played one show as Six Organs at the time, opening for John Fahey, so a letter written by one of the guys most tuned into the strange world I was describing really encouraged me. Unfortunately, as I get older, I find it harder to disappear into the world of creation. There’s always something that needs to be done, or cleaned, or a task to be taken care of. I’m not a huge astrology person but my Virgo nature makes it so everything has to be in place in my personal world in order to create. As I get older, it seems more and more things need to be in place before I can start creating. It’s a personal problem. I usually start with acoustic guitar, even if it is for a piece that will eventually be played on electric guitar. The fingers come first for me, before the melody. That is why it is important for me to knock the fingers out of habit, in order to create something new. But after that first little seed, I will hear in my head how things should go. Then the mind (or spirit, if one is inclined to believe such things) takes over from the body. I suppose the creation stage is sort of the primordial soup from which the composition is formed. Some songs are more improvised though. I don’t think there is a set ratio of improvisation to composition, though on records there is more composition. For me, sound and space are locked together, whereas composition is merely a tool to explore both/either. I tend to think of the space of sound as being created by that sound, rather than space being an empty place to be filled up with sound. This is of course in terms of the relationship between sound and space; that is to say, the space of sound is separate from the space of place. However, they may be related in that the space of either is only a space when it has been experienced by a person, to take a Bachelardian point of view. No, I don’t think that is important. In Give My Regards to 8th Street, which is a collection of writings by Morton Feldman, he mentions a concert by Pierre Boulez where Boulez describes the techniques he used to compose before he plays a piece. In the essay, Feldman rips him apart, in his own very funny way. I tend to agree. I mean, that’s what interviews are for, right? Or conversations with the artist. It’s just my opinion, but I think to present the processes in an immediate manner takes away from the phenomenon of the music. Now, people might ask, “Wait a minute: didn’t you publish a book describing the system that you used to create some of your records?” Yes, this is true, but I didn’t do it to show how each of those records were made. I don’t think the book adds to the experience of those records. I described the techniques with the hope that others would join in and perhaps use the techniques themselves, in their own way. I admit that there was a small part of me that wanted to show that I had actually created a system and wasn’t bullshitting, but that has more to do with the general climate of cynicism that pervades the music world right now that would have said, “Yeah right, sure you created a system. That’s a good angle for publicity.” Mostly I published the book to share the ideas with others. That said, perhaps it does add to the music for certain people. I guess it all matters who the listener is. I wouldn’t assume everyone would listen or experience things in the same way. Oh, I think it’s heavily cultural. It’s the ol’ Pythagoras vs Aristoxinus debate, isn’t it? The Pythagoreans believing that math exists as the ideal of music and Aristoxinus believing that it is the sound itself that makes music music. There was that recent study about noise and culture that PBS put up on their website and of course some Pythagorean nerd has to mention how the major triads they used were in equal temperament (to be fair I was also a nerd who had the same question when I was reading about the study), rather than perfect mathematical ratios so that the experiment didn’t truly show the effect of “true” mathematically perfect intervals. But overall, I tend to agree with Aristoxinus and those who claim it to be cultural, though the romantic in me hopes for the Pythagorean.